XANT: Wind Power made controllable! 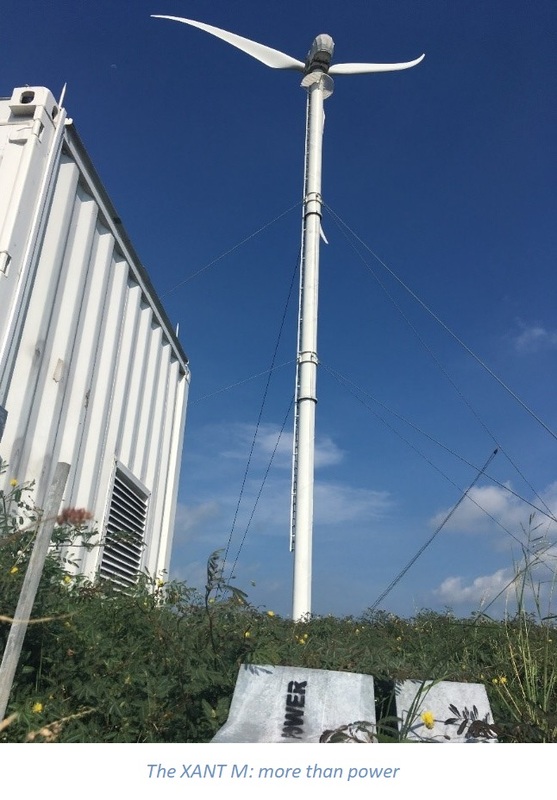 Recent tests at the REIDS micro-grid demonstrator demonstrated the capability of the XANT M turbine to act as a controlled power source. Together with the teams of Schneider Electric, ENGIE Lab Singapore and the Nanyang Technological University the firsts tests were performed with in an all-renewable configuration of the first completed micro-grid of the Renewable Energy Integration Demonstrator – Singapore (REIDS). The XANT M turbine was run as a controllable source of active and reactive power, receiving its commands from the Schneider Electric Power Management System. Particularly challenging was the ratio of rated capacities of the grid-forming units (2 x 40kVA Schneider Electric converters acting as Virtual Synchronous Machines) and the XANT M representing 100kVA of distributed generation. The tests highlighted the importance of talking the same language when integrating equipment of different vendors into one micro-grid. Not only the use of a standardized communication protocol is necessary, but a harmonized configuration of the exchanged data-sets (format, sign convention, scaling) would be speed up the commissioning of micro-grids. 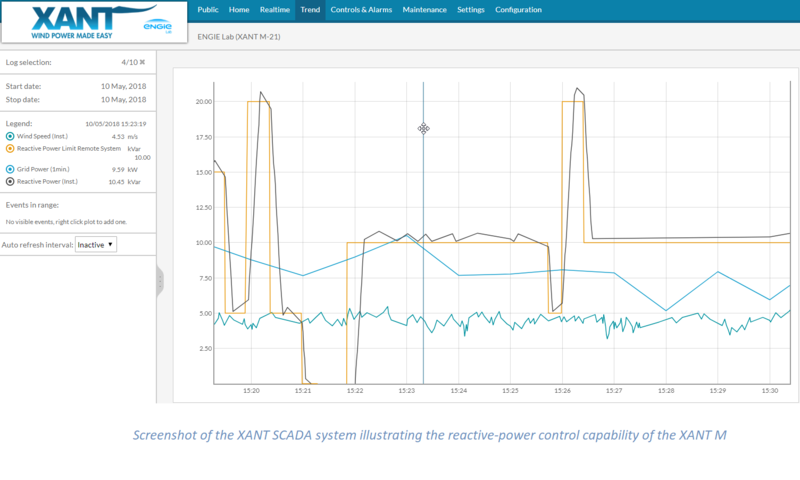 The XANT SCADA system can comply with both IEC61850 and IEEE1547 standards. XANT turbines are available with integrated electric storage units (ESU). The inclusion of (even a small) battery into the XANT M turbine enables it to operate as a virtual synchronous machine and effectively be in charge of the grid voltage and frequency of a micro-grid. This goes beyond being a mere distributed power source: the XANT M can either take control of the grid or contribute to the frequency stability in exactly the same way a standard genset would do. Also, in terms of voltage control the XANT M can do more: local control, stabilizing the voltage levels in the direct vicinity of the turbine, is possible as well as operation in STATCOM (static synchronous compensator) mode, even when there is no active power generation. In summary, XANT wind turbines can actively participate and even take the lead in controlling your micro-grid. Either as a stand-alone unit or in combination with other distributed power assets and coordinating control actions with a third-party Energy Management System (EMS).